The original memorial tablet showed the initial as R Williams. This seems to have been a mistake and was corrected to J Williams at a later stage. "I believe this refers to 73020 Major (possibly acting Lt. Col.) James "Jim" Douglas Williams of the 10th Battery, 4th Field Regiment, Royal Artillery, who died on 12 January 1945 in Burma and who is buried at Taukkyan Military Cemetery (Grave 18.H.18.) near Yangon. Jim and his brother Richard were both pupils at Prior Park College, Bath. Their father was Capt./Major (the Wiltshire Home Guard website has him as both) C S Williams MC who worked at the Westinghouse Works in Chippenham. Judging from his award of the Military Cross, Capt. 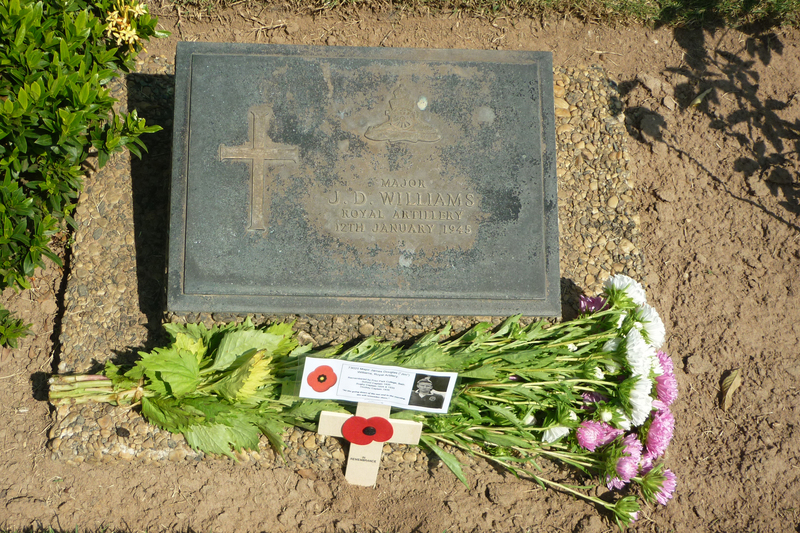 Williams had a distinguished military career, possibly in the Great War, and in 1940 was given command of E Company (Chippenham) of the Wiltshire Home Guard. I have yet to discover the circumstances of Jim's death but I do know that during the period 1943-1945 the 4th Field Reg't. R.A. was attached at various times to the 5th, 9th, 17th and 19th Indian Divisions. Richard also served during the war as a Lieutenant and was involved in the Normandy Landings in June 1944. He subsequently caught diphtheria and, presumably, was invalided out. This may somehow explain the change of initial."